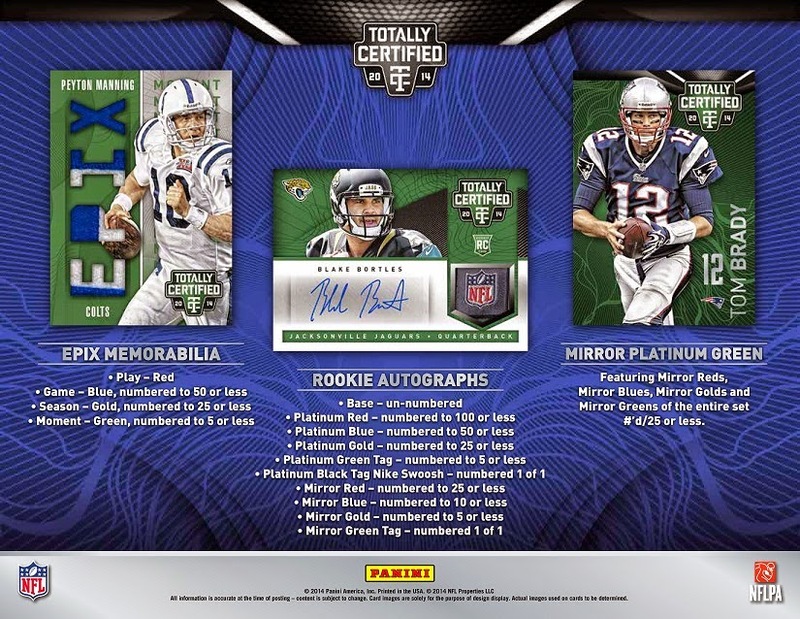 2014 Totally Certified Football is HERE! First one in gets the BEST BOX! 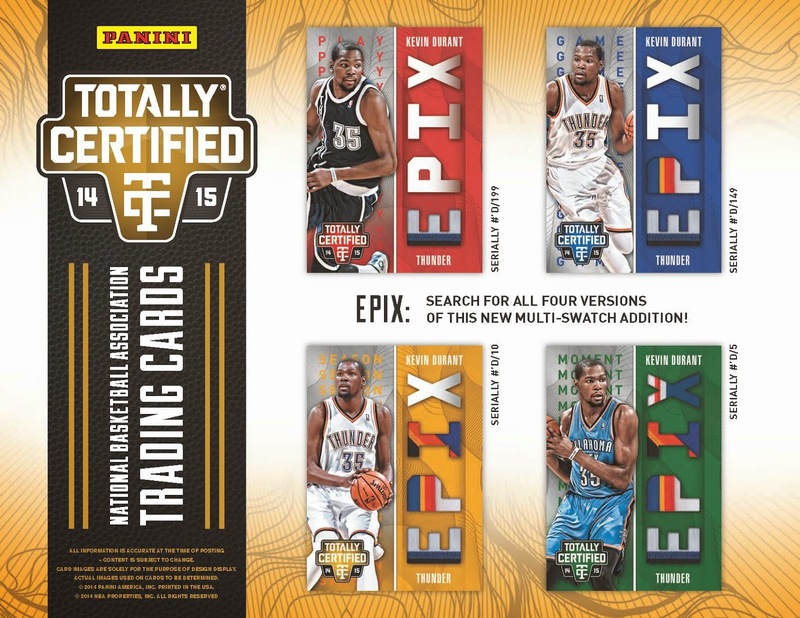 Totally Certified has always been a favorite with Sports Cards Plus customers. Panini has decided to make Totally Certified available to a wider audience by lowering the price-point. Now only $75 at Sports Cards Plus, a.k.a. The Super Hit Factory, these boxes will fly off the shelves. Look for the reintroduction of the RARE Mirror Etched Foil Technology. Each four pack box has one autograph or memorabilia card per pack. Every pack has one RC or Rookie Parallel per pack. EPIX Memorabilia Cards have 4 Jersey/Patch pieces per card. Clear Cloth Memorabilia Cards feature PETG (acetate) technology and jersey/patches. 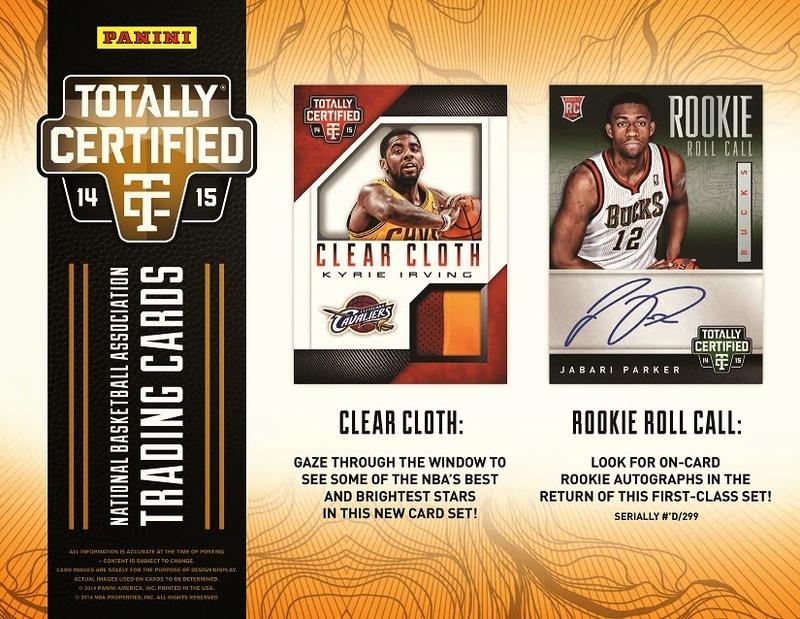 2014-15 Totally Certified Basketball arrives Wednesday ($75 per box) with the same winning presentation as the football product by the same name. This year's rookie crop is off to a good start and promises to make all basketball products a real winner.